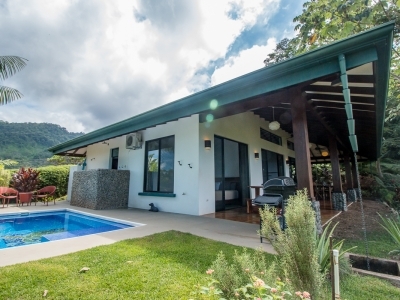 1 ACRE – 2 Bedroom Ocean View Home With Pool In Uvita!!! 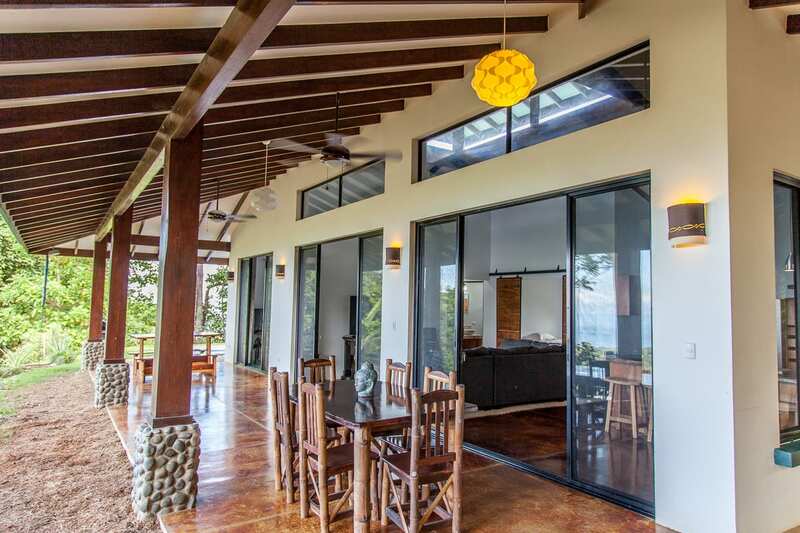 This beautiful home in Uvita is one of the few ocean view homes that fits both your lifestyle and your budget. 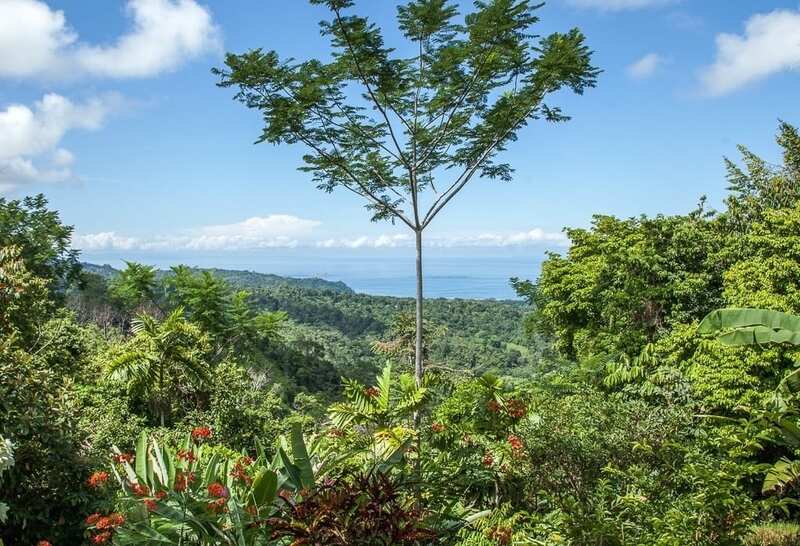 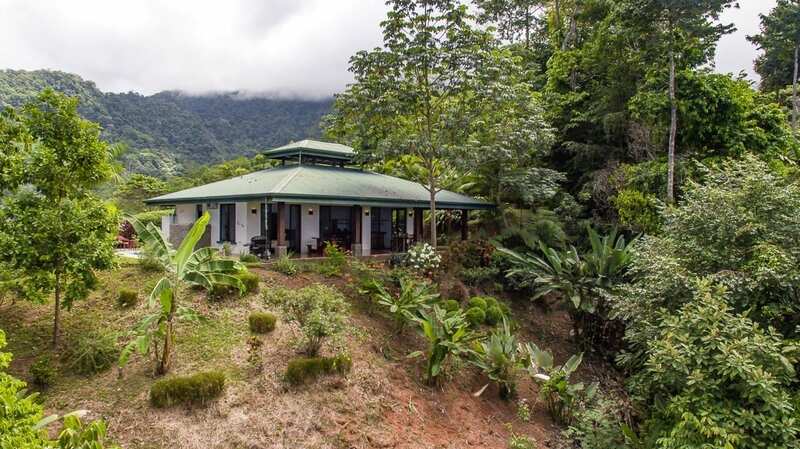 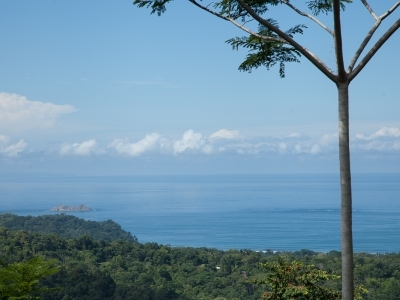 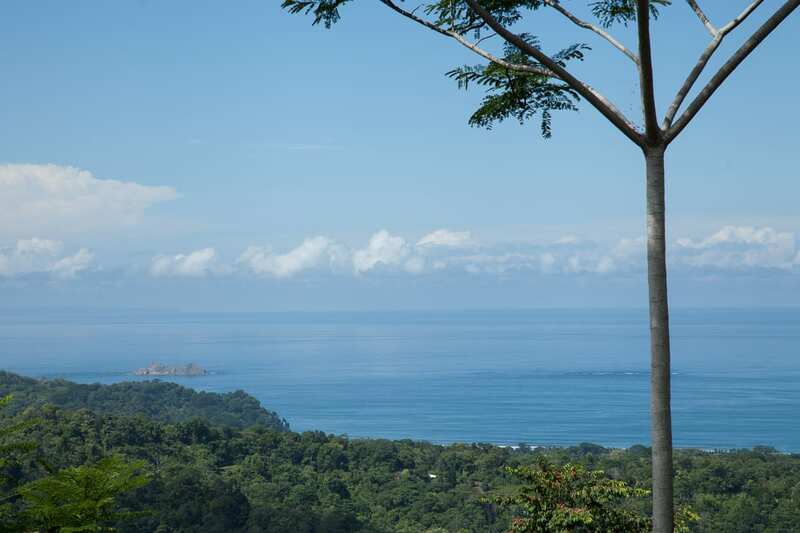 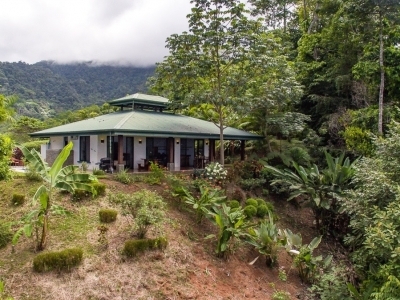 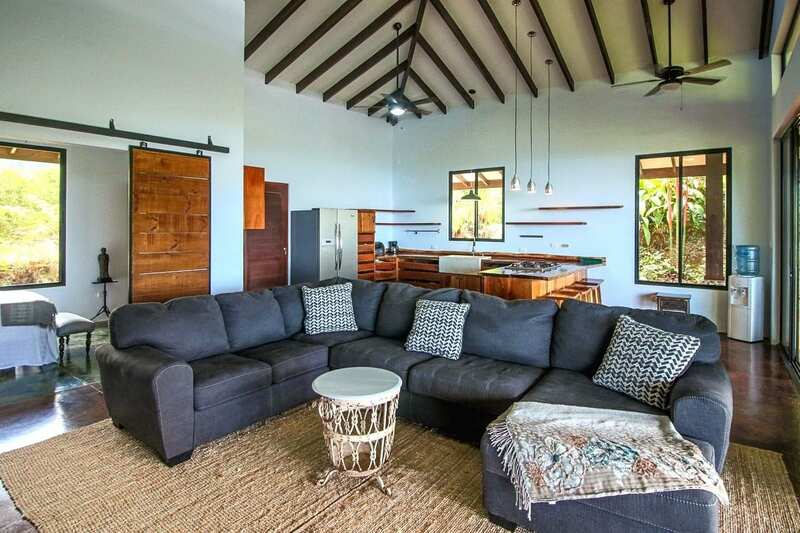 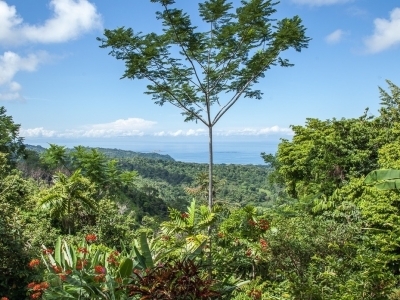 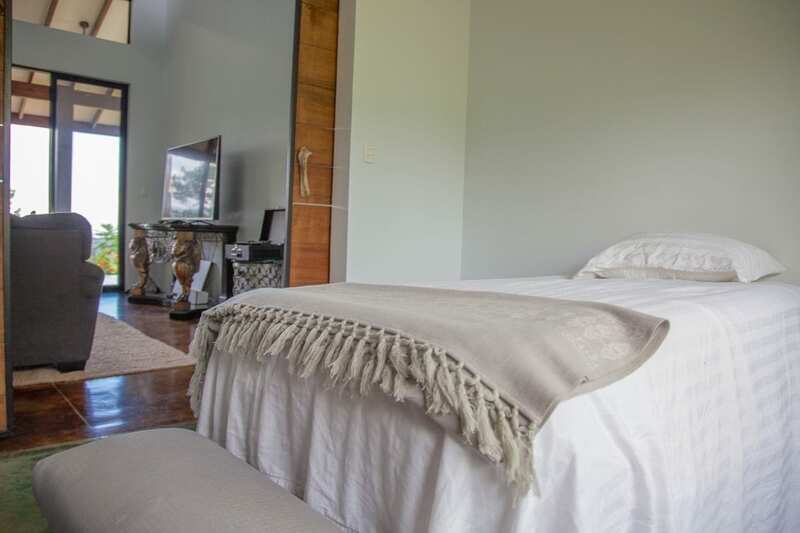 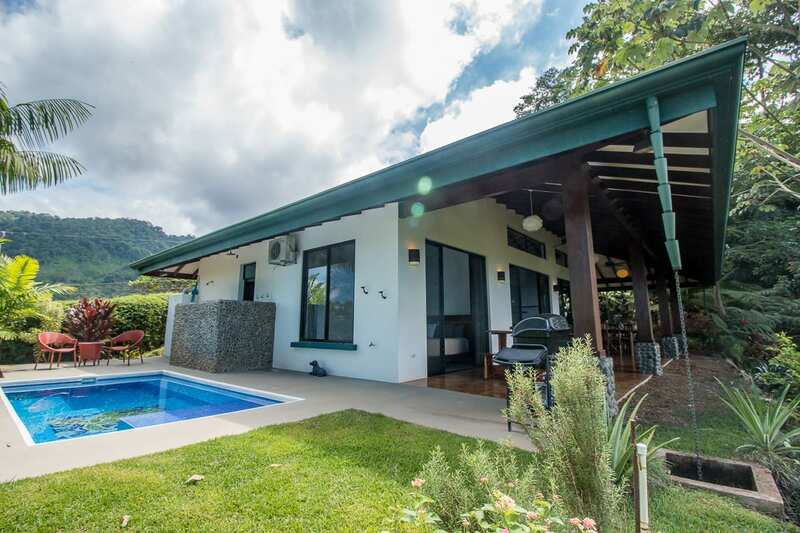 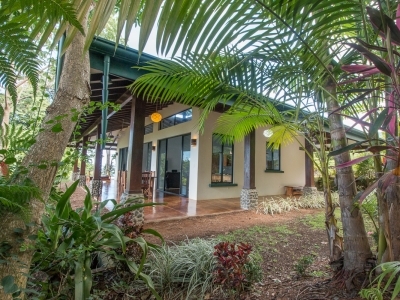 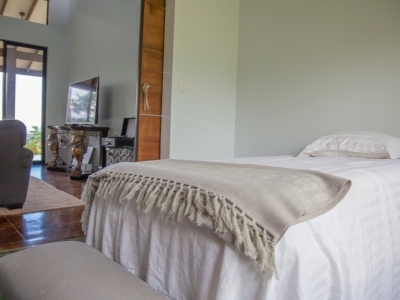 Situated on a flat ridgeline 7 minutes above the town of Uvita, this 2-bedroom/2-bath home features an open floorplan, vaulted great room/kitchen, and a looong ocean view patio. 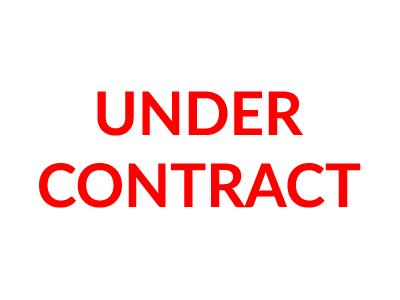 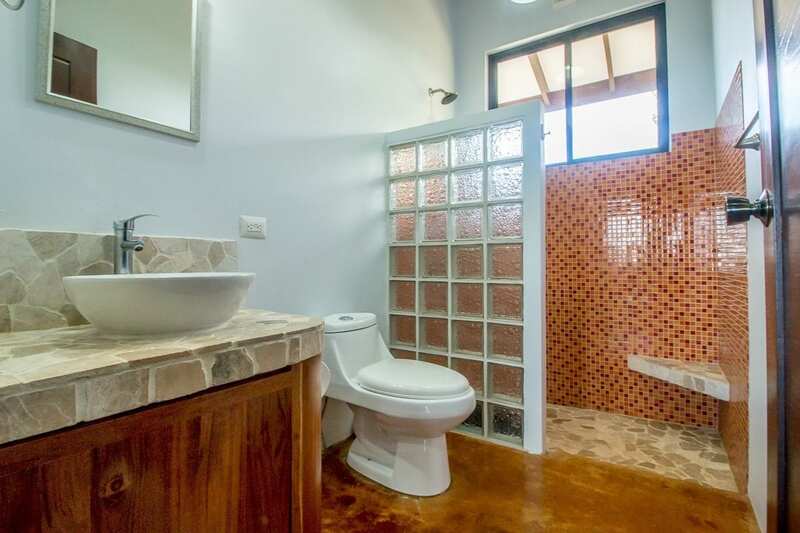 The contemporary finishes (paint, furniture, etc.) 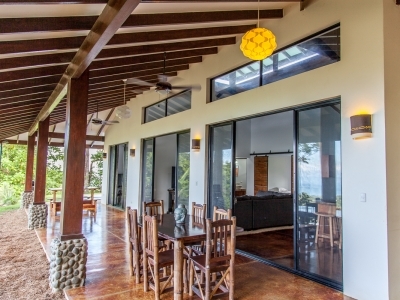 are highlighted custom woodwork and quality craftsmanship throughout. 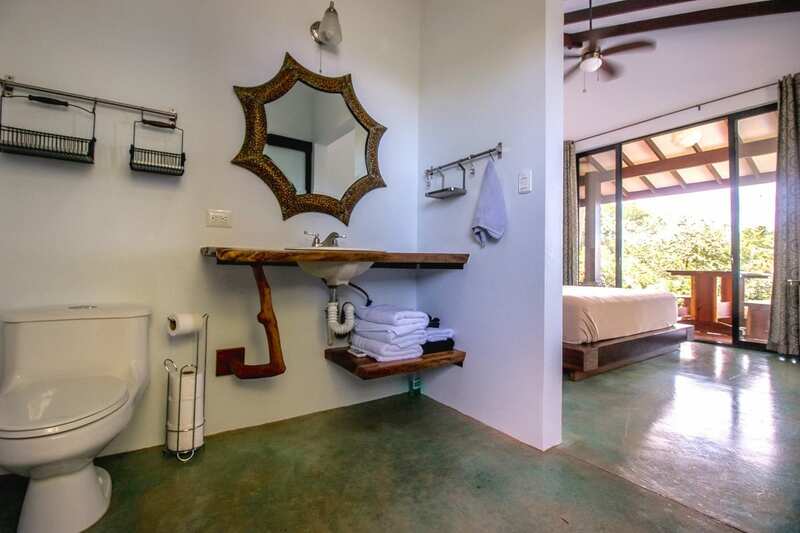 Earth tone acid-washed concrete floors combine with cool paint colors and an abundance of windows that invite the verdant jungle into your living experience. 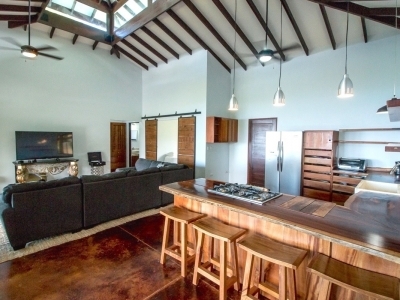 The kitchen features an island/bar finished with now rare Cristobal hardwood, a 6-burner gas stove, and stainless steel appliances. 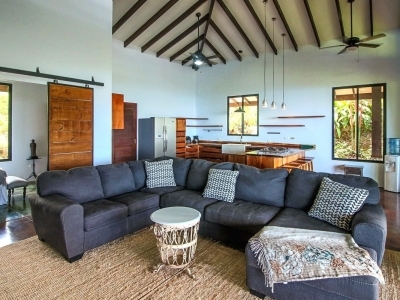 The large great room is ideal for entertaining guests and/or stretching out on the L-shaped couch. 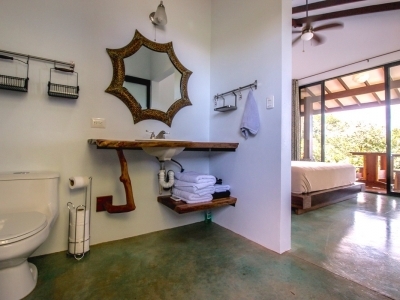 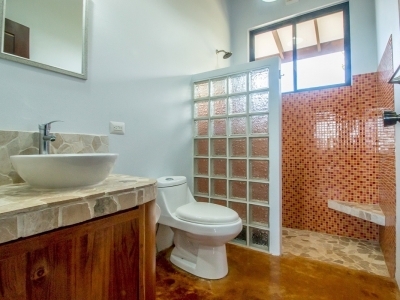 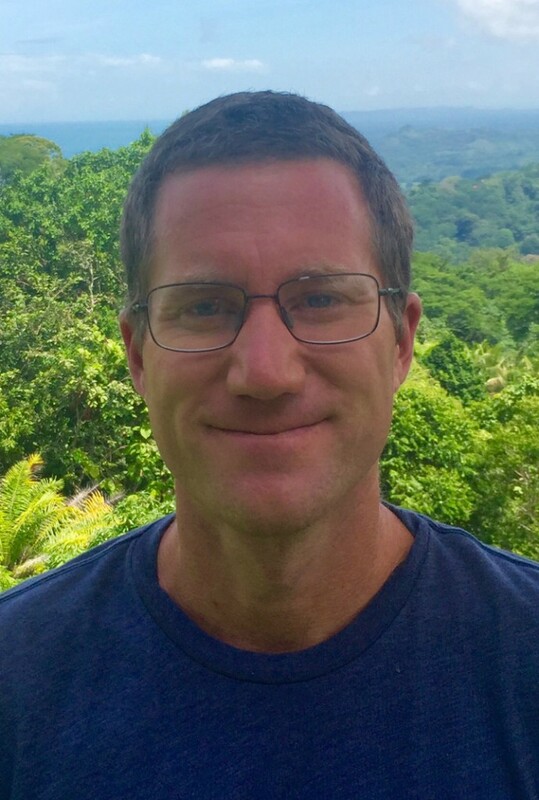 The en suite master has a queen-sized bed with ocean view, a new A/C unit, a walk-in closet, and an outdoor shower with views of the Pacific Ocean and southern jungle ridgeline. 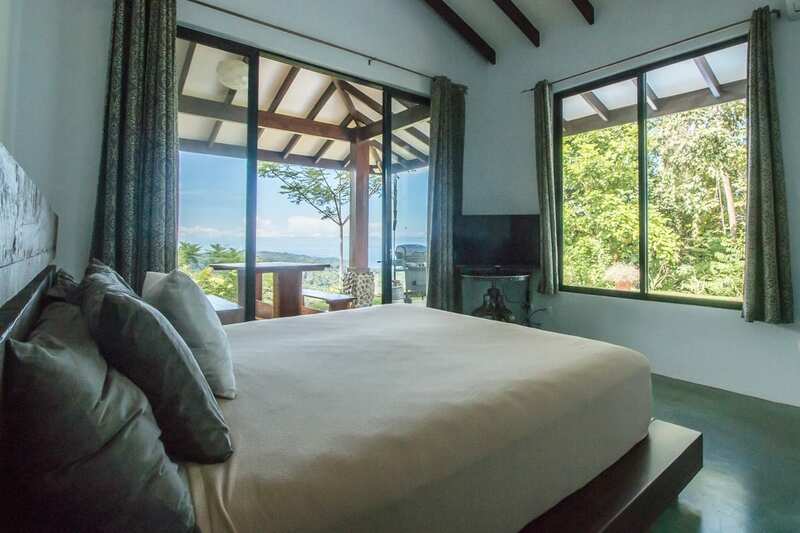 The second bedroom has a peak of the mountain, a new A/C unit, a built-in closet, and could also be used as an office or flex room with a futon. 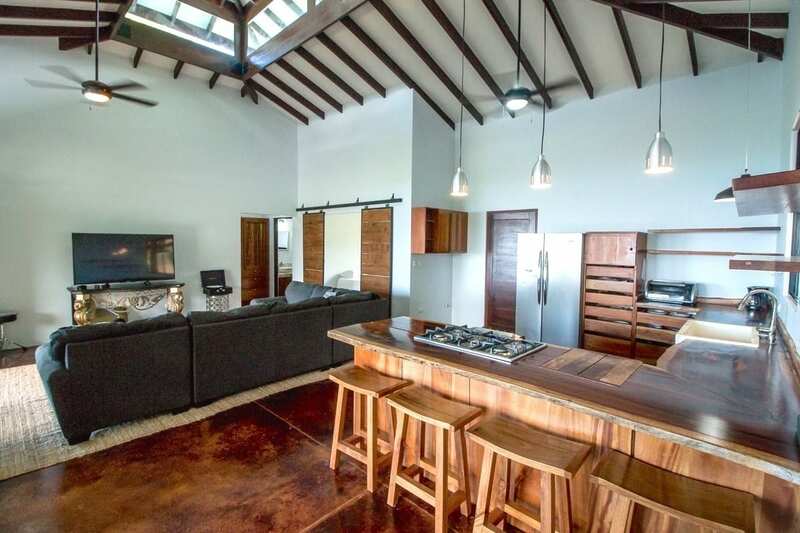 Outside, there is plenty of room for a dining are, lounge, and bbq under the covered patio. 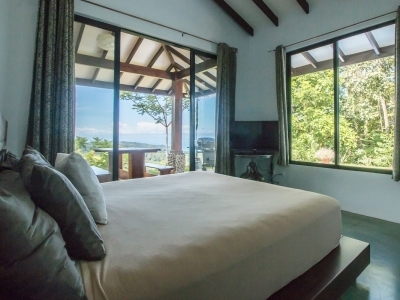 Relax in the pool while watching a variety of wildlife (toucans, monkeys, sloths), or breath in the ocean view which includes Isla Ballena and the Osa Peninsula in the distance. 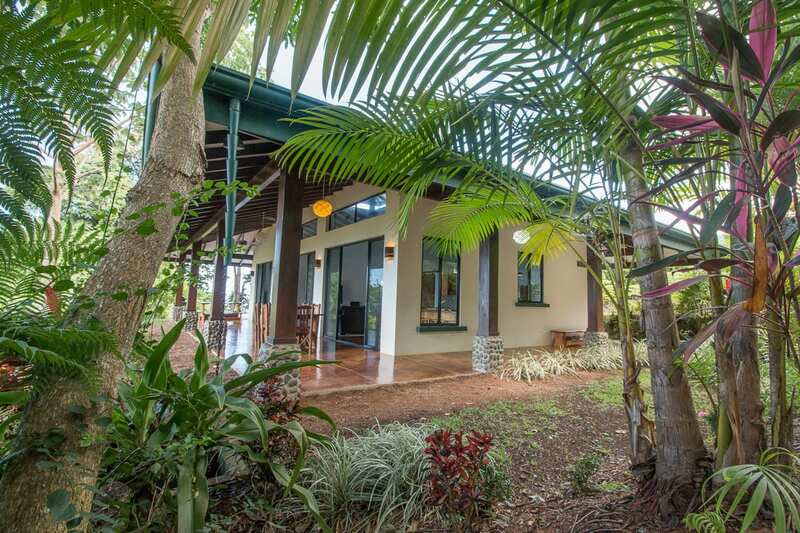 The improved dirt road access requires 4wd, but this is a “must see” for 2-bedroom, ocean view house hunters.